You might not know. 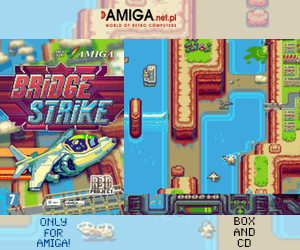 But the Amiga scene is very active. 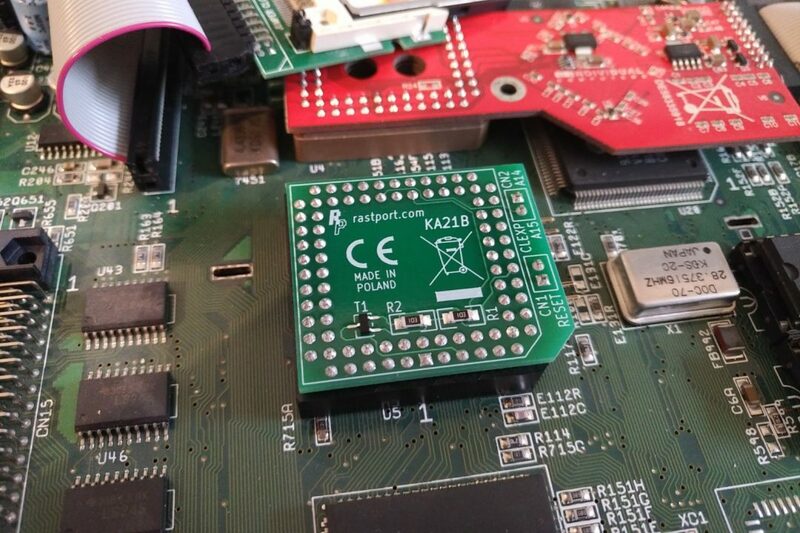 Some time ago I wrote a news item about that KA21 will be released by RastPort for Amiga 1200. Now it’s been out for some time and the maker of it sent one to Amitopia Amiga Magazine in Norway for giving it a proper Review. This tiny hardware chip named KA 21 sits on top of the Gayle chip and fixes the Reset bug that Commodore and ESCOM never fixed. With this installed, you don’t need CardReset patch from Aminet anymore as it fixes this for you. KA 21 is a hardware solution for Amiga 1200 Gayle PCMCIA reset bug. The fact is that Gayle chip in Amiga 1200 does not reset PCMCIA card during system reset event (for example keyboard reset). Then some PCMCIA cards simply stops working after such event until the Amiga is powercycled. It means you need to switch the power off and on. So, what this hardware fix does is that KA 21 generates forced CC_RESET high pulse from system reset signal. To be able to do this. The KA 21 device needs to be installed directly on the Gayle chip. Remember to remove power connector before doing this! You need to push it a bit on each of it sides. Then you Gently push it in place but not too hard and it “ticks” in place in the end. 1. First you locate the Gayle chip. It sits next to the PCMCIA port. You can remove the motherboard completely. But if you do know how to push it gently. It should work nicely. I followed the instructions made by Indivision AGA mk2 maker and it worked well. But if you want be sure without any risks of bending the motherboard too much. You should remove the motherboard completely if you aren’t sure about your strength or have done chip push on an Amiga 1200 motherboard before. The best way is to Put the mainboard on ESD mat (the best), stack of paper, a newspaper or cardboard, to give even support under the Gayle chip. Do not use plastic materials like foam or bubble wrap, as they easily generate electrostatic charge. Make sure to check the condition of your Amiga 1200 motherboard when installing like I did. Check the pins and if the pins been used before you should be careful too. Insulation sheet between the mainboard and lower EMI shield may be damaged. 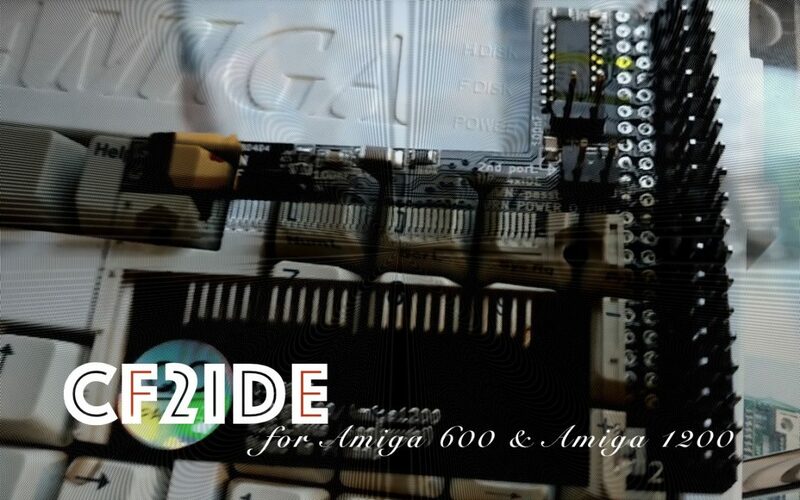 We at Amitopia is not responsible for any Amiga 1200 motherboard damage. You should know what you are doing. Remember! 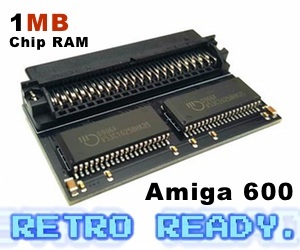 Amiga 1200 motherboards are old. So, do check pins and everything before you attempt to install KA 21 in my way. For me it was an easy to install the chip. My metal shield is not there anymore. I pushed it gently on and now KA 21 sits on top of the Gayle chip. I plugged power cable back on and turned my Amiga 1200 on. I then removed CardReset patch from Aminet and kept CardPatch in my s:user-startup configuration file. Now it seems that my Amiga 1200 is more stable. 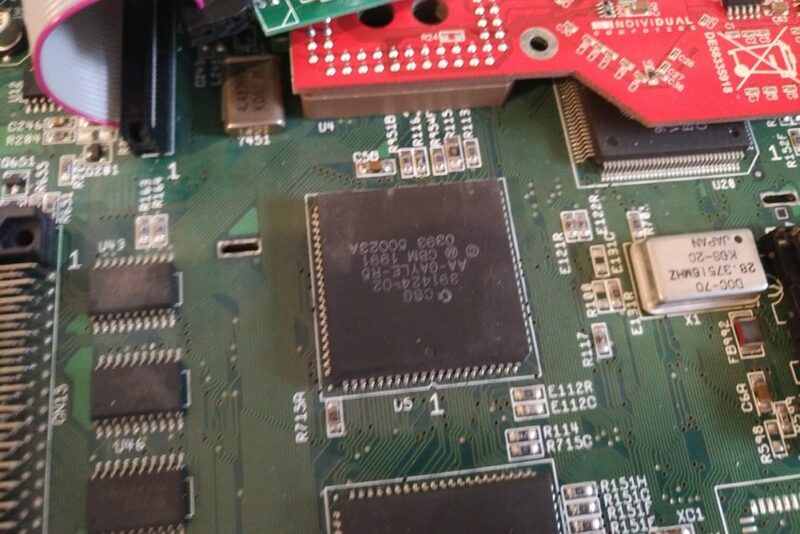 Getting this fix will help many with PCMCIA bug that Commodore and ESCOM Amiga 1200 got. No extra drivers or anything needs to be installed. At the moment it is available at Sordan.ie, RetroReady and ‘jkremski84’ that got them on sale. Grezgorz told that to me when asked. Only comment that I would point out on if there is any. Is the fact that there is no instructions sent with the product. The RastPort website is full of important information that you should read before installing. You can also checkout this article. But it would be handy to get instructions on paper too. When working with installing such hardware fix, it might not so easy having a machine side by side that is on-line.